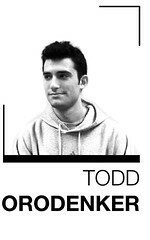 Sports Editor Todd Orodenker hands out the first report card of the season. Juniors Luis Guzman and Ryan Brooks and seniors Dionte Christmas and Semaj Inge all started and played fairly well. Christmas is a bona fide Atlantic Ten Conference Player of the Year candidate, as he averaged 22 points per game in Charleston. Brooks, no longer a bench player, showed he’s more than just a 3-point shooter but still needs more time to adapt into that roll. Guzman and Inge both did good and bad things at the point, with the good being their ability to get their teammates involved and the bad coming in their handling of the full-court press. Sophomore Lavoy Allen is now the No. 2 scoring option, and he didn’t disappoint, averaging just under 13 points per game. Allen held his own playing with four guards, hauling in 10 rebounds per game. He also showed his range, knocking down two 3-pointers against Clemson. Freshman guard Ramone Moore shined, playing around 20 minutes each game and averaging slightly less than 12 points per game. Freshman forward Micheal Eric showed his athleticism around the basket and when the ball was near him, but he was often out of position and couldn’t recognize traps and zones in the game. Sophomore forward Craig Williams and freshman guards T.J. DiLeo and Scootie Randall also got short looks in the first half of games, but they will most likely play sparingly this season. The Owls’ defense only came into question against Clemson last Sunday, as the Tigers had too many players who were too athletic for Temple’s guards to contend with. For that game, they needed senior center Sergio Olmos’ presence, who was still nursing a right ankle injury. Fran Dunphy’s hands were tied with the Olmos injury, so he played his best guys and that meant four guards. But, unlike last year, he has more depth to play with, so Allen, Christmas and Brooks could all see 35-minute nights and not 40-minute nights, something that goes a long way during the course of a season. Overall, Dunphy has a track record of success, so you have to figure he knows what he’s doing. The Owls looked like they did in January and February – just a little bit off. Considering it’s November, that’s a really good sign that they’ll be in full tilt come A-10 play and even for their tough stretch of games later in December. Grade: They’ve got to be feeling good right about now. Fall coaches: Should they stay or go? The Wildcats, who are ranked No. 1 in the Associated Press Top 25 poll, are preparing for Temple’s shooting for their Wednesday night matchup at the Liacouras Center. The Owls’ NCAA tournament chances hinge on three vital aspects of their play.